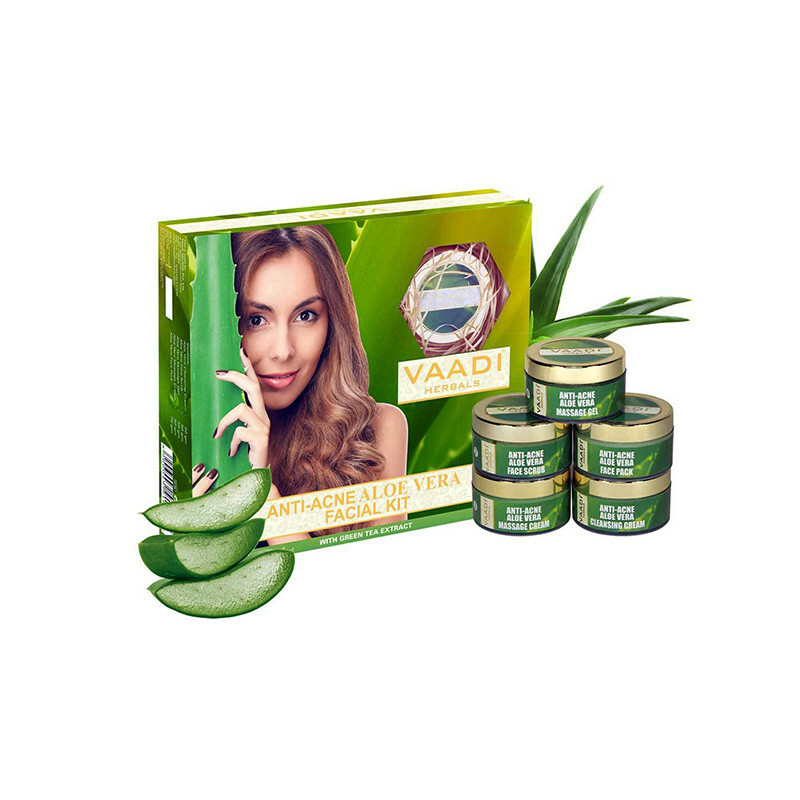 Vaadi herbal facial kit is hydrates the skin, and keeps it super soft and supple and gives you a best result. Enriched with Aloe Vera extract & and scientifically chosen Herbal ingredients & Oils, this Facial Kit provides Soft Cleansing, detoxification and ample nourishment to the facial skin. It has excellent Anti ageing and anti wrinkle properties. ALOE VERA CLEANSING CREAM-effectively removes skin impurities and excess sebum. Aloe Vera hydrates the skin, and keeps it super soft and supple. ALOE VERA FACE SCRUB-effectively exfoliates the facial skin, while stimulating circulation, which improves the texture and softness of the skin. ALOE VERA MASSAGE GEL-It also reduces pigmentation marks and blemishes. Active Ingredients:Aloe Vera extract, Kokum Butter, Jojoba Oil, Shea Butter. ALOE VERA MASSAGE CREAM- reduces wrinkles and fine lines. It also protects your skin from pollution and harmful UV rays Active Ingredients:Aloe Vera extract, Kokum Butter, Jojoba Oil, Shea Butter. ALOE VERA FACE PACK-reduces under eye circles and prevents premature skin ageing.